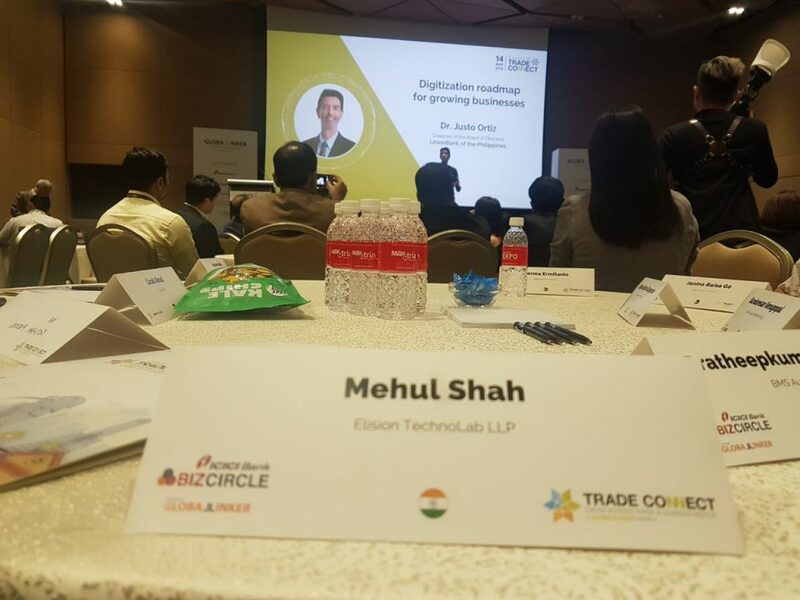 Mr. Mehul Shah is back from the event and his extended business trip after the event and here are the highlights from this trip of Elision’s leader in Singapore. The GlobalLinker had made world class arrangements to make this event fruitful for all delegates. They had taken care of even very peculiar level details. The content shared in the event was indeed useful and the domain experts benefited the delegates with their keynote sessions. The GlobalLinker team personally took care of each delegate to assure they have a good time in the event. Our CEO and Fonder had an amazing time filled with rich content and memorable experience. We also won the contest of “Social Media Marketer of TradeConnect” that was conducted by the GlobalLinker. It is indeed a great feeling to become a winner among everyone who participated in this contest by posting on various social media platforms. Also, the platform provided to business owners of the mentioned 3 countries was worth exploring. Our CEO and Founder had an opportunity to discuss business with other delegates and we will have second level discussions with some of them to explore mutual business grounds. Mr. Mehul Shah had extended his trip in Singapore for a day after the event. He met our existing customers in Singapore who use our call center solution, IP PBX system, VoIP development services and other solutions. He also manages to meet some of the businesses that have shown interest in our solutions and services as well as to become our channel partners. We are proud to announce this trip as a successful trip. A special thanks to the team GlobalLinker who created this opportunity for the business owners to network with each other to expand business.